Home Entertainment View The Boxtrolls Official Movie Trailer! View The Boxtrolls Official Movie Trailer! From the creators of “Coraline” and “ParaNorman” comes a new breed of family, The Boxtrolls. 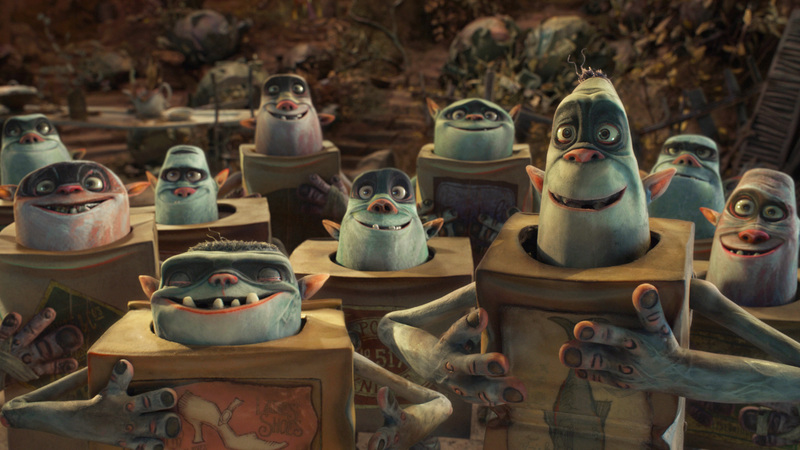 The Boxtrolls are a community of quirky, mischievous creatures who have raised an orphaned human boy named Eggs. The Boxtrolls live in an underground town under the town of Cheesebridge. Cheesebridge is a Victorian-era town, obsessed with money, class and the stinkiest, finest cheeses. The Cheesebridge townspeople are not very welcoming or understanding of The Boxtrolls. The townspeople have come to the point of threatening them out of their underground home. Eggs jumps in to action, going above ground and making friends with a human girl, Winnie, voiced by Elle Fanning, who helps him create a plan to keep The Boxtrolls in place. The movie looks incredibly funny and, more importantly, teaches viewers that a family is a family no matter how rough around the edges its members may seem. The Boxtrolls is the third stop motion animation film to be released by LAIKA, with this movie being in conjunction with Focus Features. It is directed by Anthony Staachie and Graham Annable and based on the book by Alan Snow, Here Be Monsters. The voice cast is wonderful and could not be more talented, with Ben Kingsley, Isaac Hempstead-Wright, Elle Fanning, Jared Harris, Toni Collette, Simon Pegg, Nick Frost, Richard Ayoade and Tracy Morgan! I had an amazing opportunity to tour the LAIKA set in Portland, Oregon. I am excited to say that I will be able to tell you all about my visit to the set and lots of other fun details about my trip very soon! Until then, get the family ready by checking out the official movie trailer! The Boxtrolls will be released in theaters nationwide on September 26th. You can stay social with The Boxtrolls on Twitter, Facebook and Instagram!